Staying warm and dress-code-appropriate at a winter wedding might seem like a challenge but fortunately, we’ve got a few tips to help heat up the dance floor no matter how chilly the weather. The main key? Choose outfits that do the hard work for you so you can spend more time celebrating the happy couple. Here’s how to stay warm at a winter wedding. Luxe fabrics like velvet, silk or suede enrich your look with texture, providing warmth without adding bulk. Although silk might feel lightweight, its tightly-woven fibers trap and retain body heat, keeping you warm. Try a short-sleeved silk (or silk blend) midi dress or a long-sleeved velvet mini dress to stay comfortable and on-trend in brisk temps. Ditch the dress and wear a jumpsuit to forget the fear of cold, bare legs. Reach for a wide-legged cut and pair with pointed-toe pumps for covered-up and cozy legs that look miles long. You’ll earn more coverage and sophistication for your look with a tuxedo blazer as a finishing touch. While the words scarf, wrap and stole are often used interchangeably, we’re here to set the record straight—a stole is what you want for your fancier occasions (see: above!). Essentially a thinner, simpler version of a scarf, a stole adds warmth and class without overpowering. 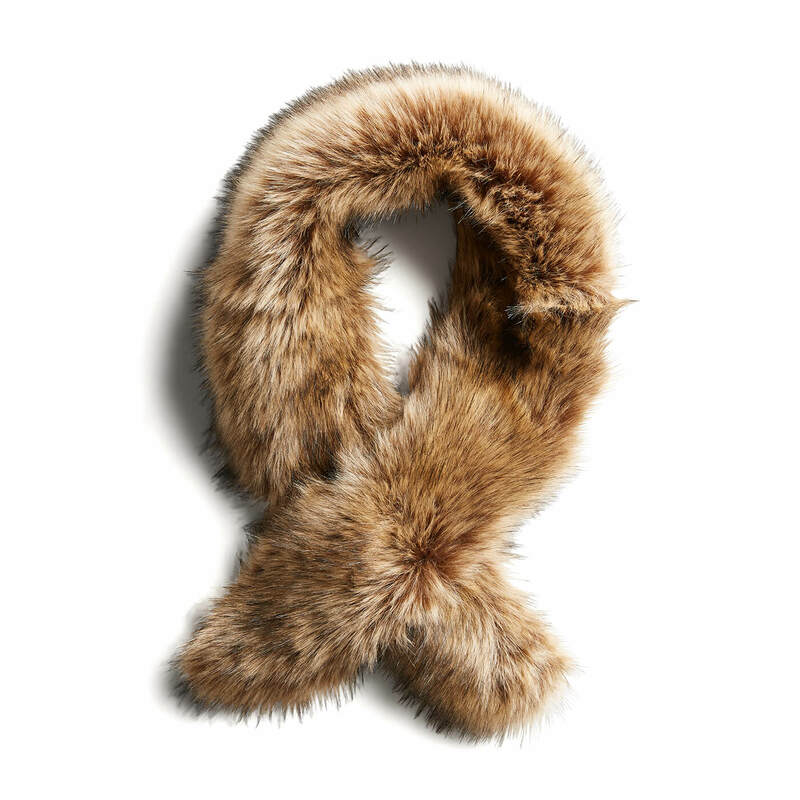 Embrace the fashion comeback of faux fur with a fluffy stole at your next winter nuptials. Want to try these styles now? Let your Stylist know when you schedule your next Fix!